This was another of my paintings in the southwestern series, where I used a figurine as if he were a real person actually doing something. 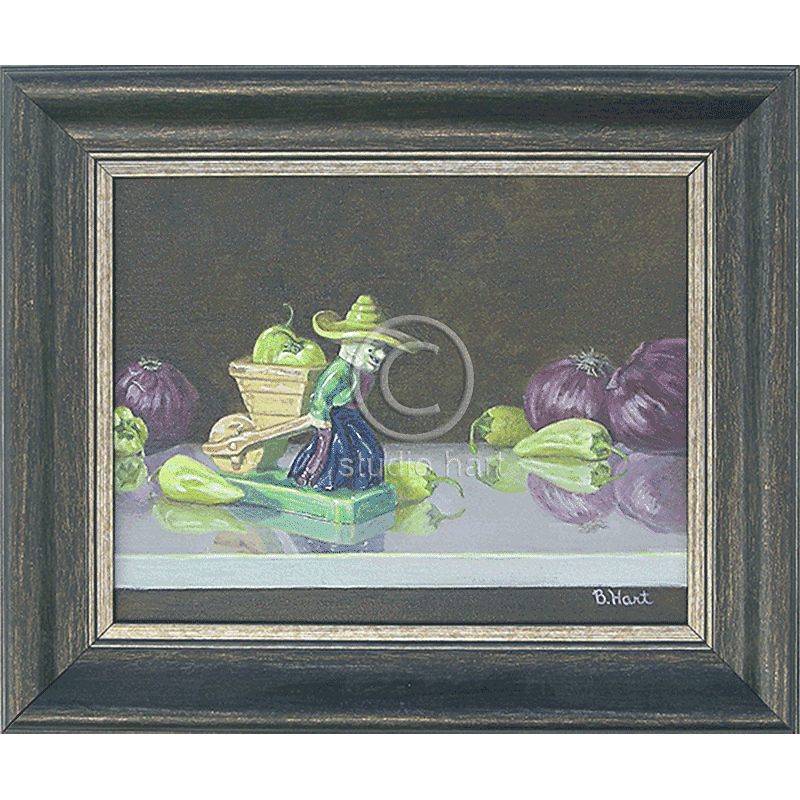 (instead of collecting dust) If you like Mexican food, figurines and have a sense of humor, this painting has your name on it. Well actually, it has my name on it. Materials: Original acrylic on canvas. Rich walnut color, solid wood frame.